Eight hundred and counting. That’s how many breweries are currently operating in California. 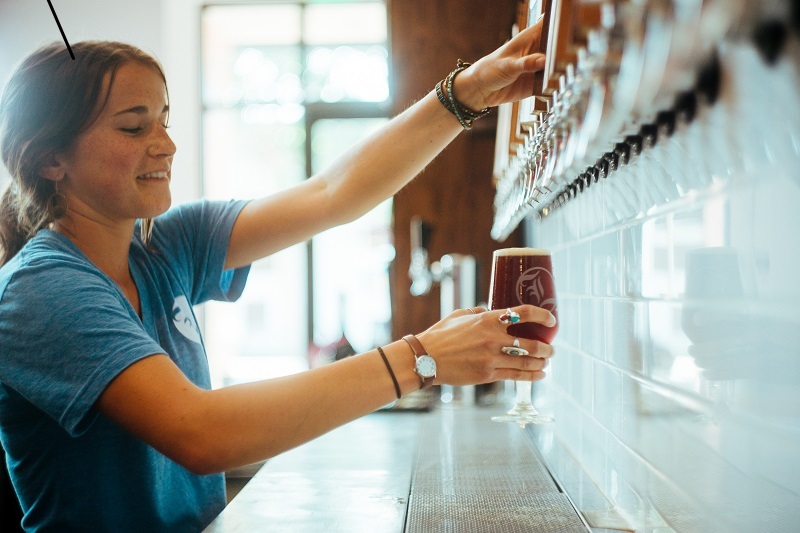 If you’re itching to tackle a beer trip to the Golden State, San Diego is the most obvious starting point, with several dozen breweries in the city and more than 100 sprawled out across San Diego County. Then there’s the San Francisco Bay Area, the undisputed birthplace of craft beer. But there’s one thing you’ll largely miss out on if you focus on the major cities: the beach. You don’t have to cruise up California’s 840 miles of impeccable coastline, but if you do, you’ll find more than 30 breweries within 1 mile of the coast. From south to north, here’s a look at 10 of them, with a few bonus stops. 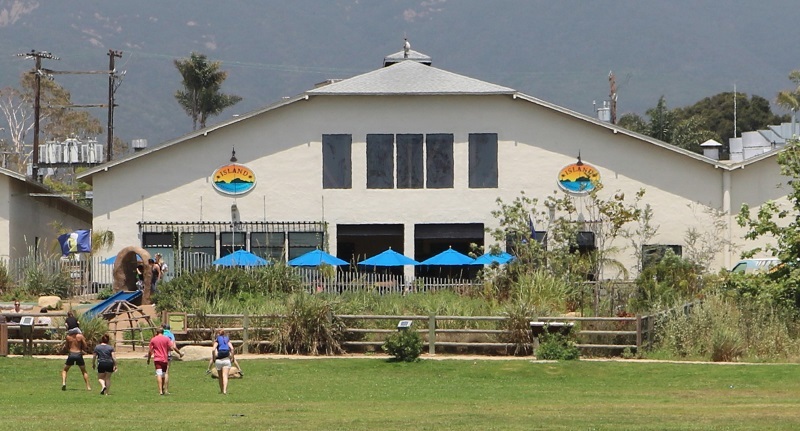 After striking a gold mine of Great American Beer Festival medals for Pizza Port, brewmaster Jeff Bagby struck out on his own to launch this eponymous brewery (601 S. Coast Highway) in San Diego’s North County (just south of Orange County) in Oceanside. The rooftop patio offers a view of the beach that’s a five-minute walk away. As if to prove it caters to beer geeks, its most popular offerings are Dork Squad IPA and Nerd Herd IIPA with Doofus, Dinkus and Dum Dum hop bombs not far behind. The always-evolving tap list features an array of European styles from German roggenbiers to Belgian blonds to Czech pilsners, and they’re arranged, considerately, from lowest ABV (several are sub-5%) to highest (including some above 10%). 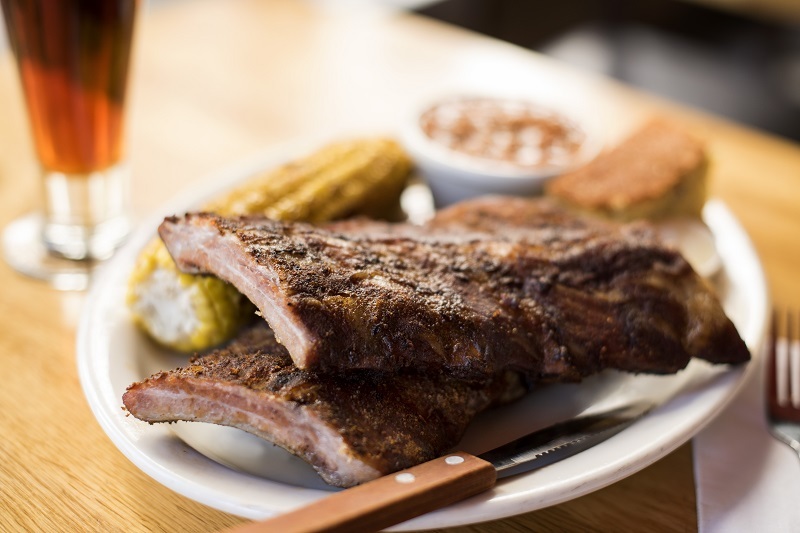 Launched in 2006, this barbecue-focused brewpub has become the South Bay’s darling, built on the strength of Beachwood’s (131 Main St.) incredible range of styles. IPAs? The juiciest (see Thrillseeker and Melrose). Stouts? The roastiest (see Udder Love and Kilgore Stout, not to mention beers with added roasted coffee such as Mocha Machine). Wild ales? The, uh, sourest (see lambic-style Chaos Is a Friend of Mine). And they have combined for 11 GABF medals over the last five years. There’s a second restaurant in more industrial Long Beach (210 E 3rd St.) and neighboring The Blendery (247 N. Long Beach Blvd. ), focusing on barrel-aged sour beers, but those aren’t situated two blocks from a pier. A slab of baby back ribs and a bottle of fruit lambic-style ales (Careful With That Peach, Eugene or Careful With That Guava, Eugene) makes the gridlock traffic getting there totally worth it. Pushing the boundaries of that 1-mile-away-from-shore limit, El Segundo (140 Main St.) fits the bill (with 0.2 miles to spare) and it’s one of the precious few breweries in the Los Angeles area near the water. The small tasting room gets awfully snug when locals stop working or surfing. Of the 16 taps, always expect more than half of them to land on the American pale ale to double IPA scale, which lends itself to incessant exploration of hop utilization and gratification. Mayberry IPA is neither placid nor hokey like its namesake, but instead is a brash, wild beer teeming with tropical notes from all those Mosaic hops. In the southern shadows of the Topatopa Mountains is the Topa Mountain Winery in Ojai. Farther south is the beer-making side of the business: Topa Topa Brewing Co. (104 E. Thompson Blvd.). 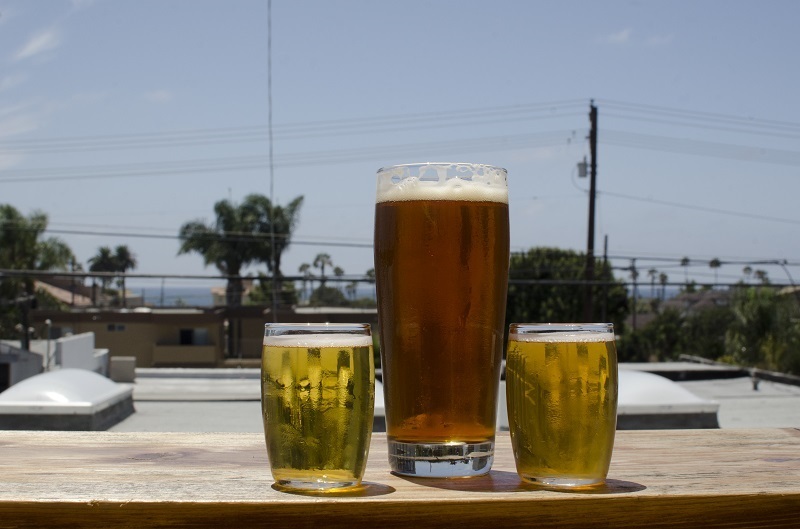 A third of a mile from the Ventura Promenade is where head brewer Casey Harris, who cut his teeth researching hops and writing recipes at Stone, creates over a dozen fresh beers on tap. The small tasting room does offer a sunny patio in which to enjoy the various hop delivery vehicles as well as a few coffee-infused beers. Can’t make up your mind which to go for? There’s Howler Coffee IIPA. Carp, as locals call it, remains off the radar for tourists since it’s a much smaller town than Santa Barbara to the north, but that just means it’s that much more chill. Island Brewing Co. (5049 6th St.) was established in 2001 in a town self-styled as the Avocado Capital of the World. Hence, they’ve been brewing the guac-friendly Avocado Honey Ale almost since day one. It’s not sweet but toasty and earthy, and not green, just amber like the honey from their own hives. Hop heads will always find an array of IPAs, including one I had during my visit, brewed with experimental high-alpha American hop number 7270 that threw herbal and dank notes. I’m not sure which is better: the fact that the IPAs won’t get light-struck once the sun begins to set below the ocean’s horizon, or that you can enjoy that sunset from the patio. 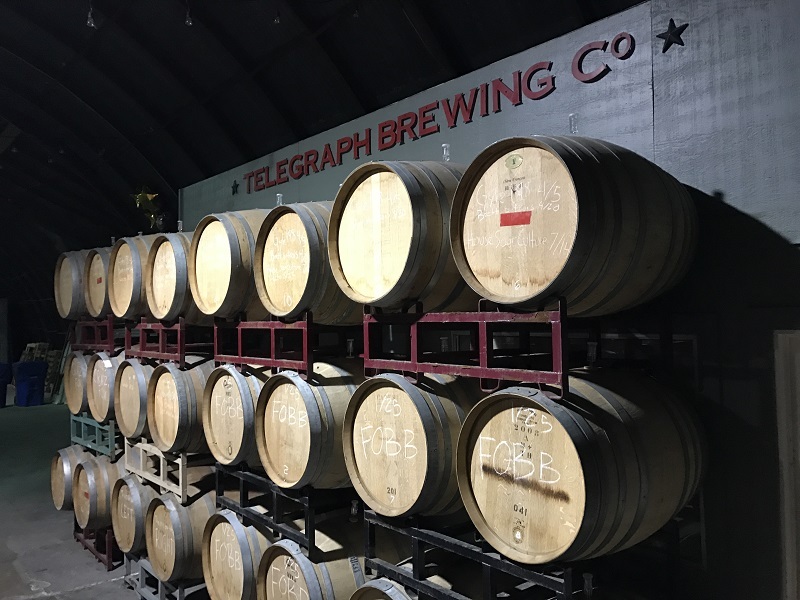 There are three great breweries within a mile walk of one another, starting with Telegraph Brewing Co. (418 N Salsipuedes St.), a whole five blocks from the beach. While Telegraph’s California Ale (an earthy, yeasty Belgian pale ale) is the flagship, the Obscura series of wild ales makes this a destination. The sour beers, often aged in area wine barrels, sometimes get a boost from local citrus or stone fruits. Two blocks away at Third Window Brewing Co. (thirdwindowbrewing.com; 406 E. Haley St. #3), patrons can have their thirsts slaked by Germanic lagers or Belgian abbey ales, farmhouse ales, wine-barrel-aged beers and beers featuring in-season fruit (like subtle loquats) are the gems. 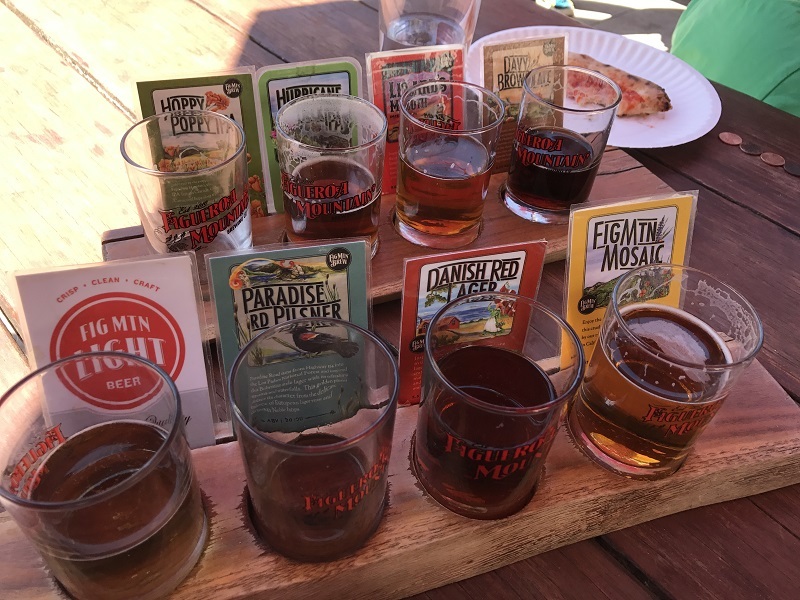 For a wider array of hoppy ales and some quotidian styles, try the Santa Barbara outpost of the Buellton-based Figueroa Mountain Brewing Co. (137 Anacapa St. F). Figueroa Mountain now operates four breweries, but this one in downtown’s Funk Zone is the closest to the coast. Although Libertine Brewing Co. (801 Embarcadero) has opened a larger facility 15 miles away in San Luis Obispo, the ambitious brewers, who often employ the steinbier method—superheating rocks plucked from the bay—first launched as a tiny brewpub in charming Morro Bay. This waterside restaurant and music venue isn’t just slinging fish and chips to tourists. The terroir-minded brewery makes goses using Pacific Ocean water for the requisite salinity. Although the company keeps growing and opening additional locations around the Central Coast, this cozy, entrancing jewel offers 48 taps with around a quarter of them devoted to in-demand, wild, barrel-aged creations. The drive from Morro Bay to Capitola (or more broadly from San Luis Opisbo to Santa Cruz) is about 160 miles, but your driving options are to take the zigzagging Pacific Coast Highway (parts of which were closed due to recent storms, as of press time) that hugs the gorgeous coastline yet takes four hours, or dart up Highway 101 through the “salad bowl” lined with fields of broccoli and artichokes, which takes just two hours. Once you arrive, you’re treated to a small brewery that’s a big destination for beer lovers. While Sante Adairius (103 Kennedy Drive) is not at the beach, it’s just a 15-minute walk away. Most formidable for tickers is West Ashley, a Pinot Noir-aged saison with apricots. Each visit is a game of chance since you never know what they’ll have available, but if you come across Westly, which they could’ve called Westlier since it’s apricotier and oakier than West Ashley, do not miss your chance. The portrait of California chill is this brewpub’s front patio on a warm day with everyone’s dogs lying at their feet as they sip pints of Mavericks Amber Ale. Like most of Half Moon Bay’s (390 Capistrano Road) beers, this one’s approachable and sessionable, yet named for the recently bankrupt Titans of Mavericks, a surf competition where competitors are given 48 hours’ notice to make it to Half Moon Bay to ride waves up to 60 feet. Of course, you don’t have to see the inside of those titanic, plunging waves to enjoy a pint of Tunnel Vision IPA. A mile away is Hop Dogma (30 Avenida Portola, Suite 1B, El Granada) specializing in an array of IPAs including Alpha Dankapotamus (featuring Citra and aforementioned 7270) as well as those beachy sippers like Porch Livin’ Kolsch. 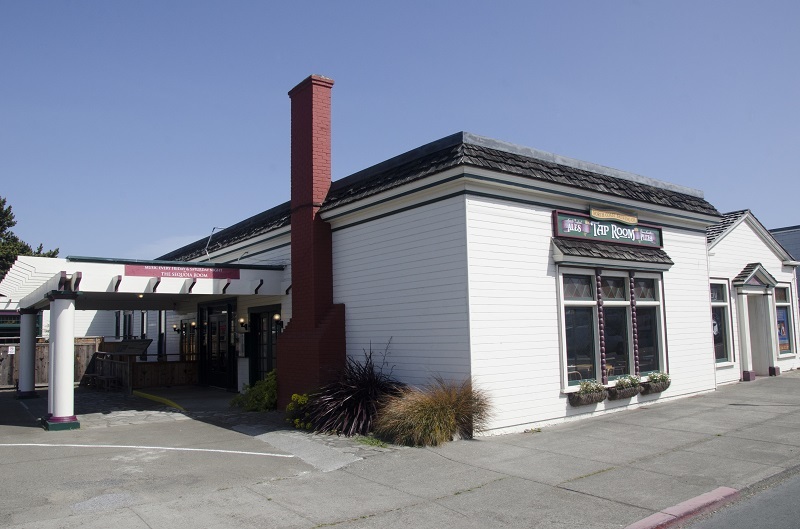 North Coast Brewing Co. (444 N. Main St.) is a legacy brewpub with a production brewery across the street that’s right near a spot called Glass Beach. It’s so named for the millions of smooth sea glass pebbles that resulted from years of being an oceanic dumping ground decades ago. (Hurry before all the sea glass has been nabbed by jewelry makers and kids.) While the pub serves noteworthy pub grub, it also serves raw oysters from Hog Island Oyster Co. and clams steamed in Blue Star Wheat beer. Perhaps the most famous beer is Old Rasputin Russian Imperial Stout along with its bourbon-barrel-aged riff, celebrating an annual release for the last 18 years. The taproom also hosts live jazz. It’s just one of the ways North Coast supports jazz, including with Brother Thelonious Belgian-style Dark Ale (one of the brewery’s many Belgian-inspired beers) benefiting the Thelonious Monk Institute of Jazz for jazz education. In this country, we’re fond of exploring and celebrating our various cultures—including beer culture—from “sea to shining sea,” but a road trip up or down the California coast is an ideal way to dive deeper into just the shining sea part. And best of all, it’s there for you during summer vacation, spring break and all the seasons, since the sun’s virtually always shining in California. You missed New Bohemia brewing co. in Pleasure Point (technically Santa Cruz–but on border of Capitola also)probably about 1/2 mile from the beach! Great beer–great owners! What Exactly Is Malt Liquor?